Access to drinking water is a major issue in the developing world, especially in Africa, where dirty water kills more people than violence. Solar water purification is a tried and true method of using UV rays to kill harmful bacteria and viruses in water, and we’ve featured a good number of designs that harness the process (see a few at the left). 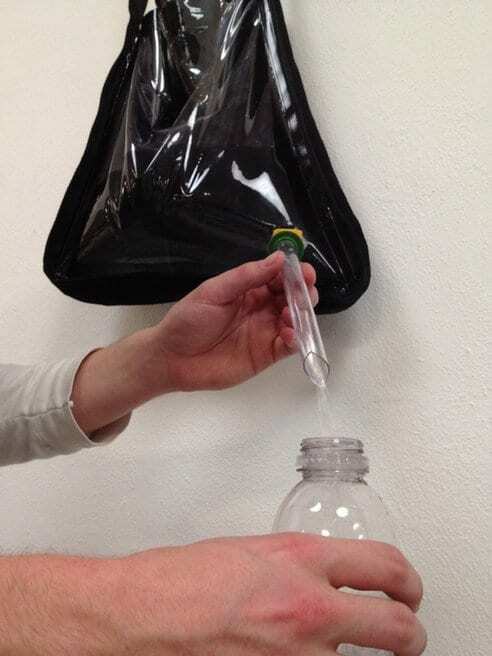 The Solar Bag, created by Ryan Lynch andMarcus Triest is another in the genre that stands out. The idea is pretty simple: fill the bag with 2.5 gallons of water, sling it over your shoulder, and let the sun do its work while you walk. Lynch and Triest say the idea takes into account how far some people need to walk to access even dirty water. Within six hours, the water in the bag is safe to drink.